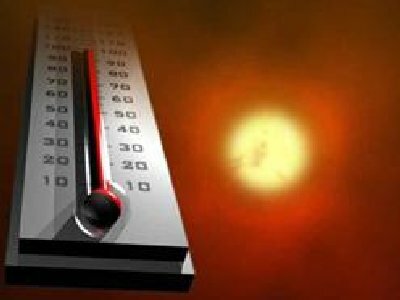 In Northwest Indiana, the summers are hot and the winters can be dangerously cold. This summer, our air conditioning units worked overtime, so let’s get them properly prepared for Fall and Winter so they work like new next season. Here are a few tips from Earl’s to help prep your air conditioner for the winter. 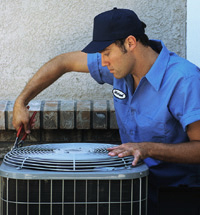 The first order of business is to clean your compressor, which is the exterior portion of your air conditioner. This equipment is exposed to the elements year ‘round and gets battered by rain, leaves, sleet and snow throughout the year. As a result, the equipment becomes filled with branches, leaves, bugs, animal droppings, and much more. All you need to do is simply remove the debris with your water hose. Once you’ve thoroughly cleaned the unit, it’s time to prevent any further contamination by covering it. Make sure you let it dry out sufficiently after hosing it down, however. Usually 24 hours will suffice. If you’ve had problems with debris in the past, you may want to consider a form-fitting plastic or vinyl cover. WARNING: Make sure you never turn the unit on when it is covered! Preventive maintenance is one of the best ways to protect your system from costly repairs down the road. Before winter, it’s highly recommended that you schedule a furnace tune up, so you may also want to have Earl’s check your air conditioner as well. By identifying problems early, we can cut your maintenance bill and keep your air conditioner in tip-top condition as it weathers out the winter. Although you won’t use your air conditioner for the duration of winter, remember the essential role it plays in your comfort during the rest of the year. When winter is finally over, don’t forget to give Earl’s a call to get it ready for the warmer months! You can contact us at (219) 942-9023. This entry was posted in Air Conditioning and tagged Air Conditioner Cleaning, Air Conditioning Maintenance, Air Conditioning Repairs, Prepping Air Conditioner for Winter, Winterizing Air Conditioner on September 11, 2017 by siteadmin. With the wet weather and hot, sunny days we’ve had throughout Chicagoland lately, most homes are more than likely feeling very muggy. Enter the solution: the whole home dehumidifier. 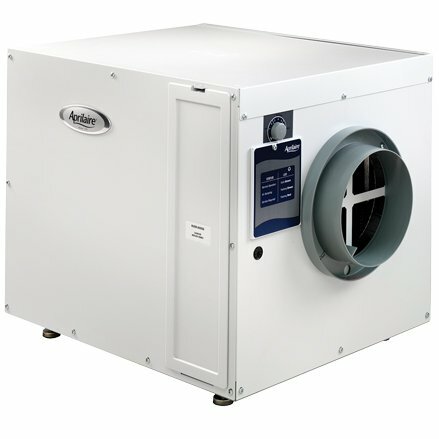 Whether it’s portable or connected in-line with your HVAC system, a whole house dehumidifier helps you maintain a healthy humidity level throughout all the rooms in your home. Installed to work in conjunction with your home’s heating and cooling system, a whole home dehumidifier uses its fan to draw air into the unit. The air is passed across the unit’s chilled coil. Contact with these coils causes the excess moisture to collect on them, removing moisture from the air. The air is then recirculated through the HVAC system or into the home, depending on how the dehumidifier is installed. Improved Air Quality: By reducing the amount of moisture in the air, dehumidifiers improve air quality in your home. They can also lessen the concentration of allergens and other pollutants that may cause respiratory issues. Energy Savings: Using a dehumidifier can help you reduce the amount of cooling energy that your home uses. And when the air in your home is less humid, it feels cooler. With whole home dehumidifiers, our customers report that they don’t need to run their air conditioners as often, allowing them to conserve energy and save money. Mold Protection: Too much moisture in your home can create conditions conducive to mold growth. And, as we all know, mold in a home is just bad news, as it causes damage the structure of your home and is quite hazardous to your health. A whole home dehumidifier works to keep moisture levels throughout the home within the appropriate range to prevent mold growth. save approximately $190.00 per season in electrical costs versus portable dehumidifiers. Also, when a home is properly humidified the thermostat can be raised a few degrees and save 10% to 15% in utility costs. At Earl’s, we also appreciate the fact that there have been no Aprilaire recalls to date, the units are made in America, and they have a five year warranty. Aprilaire whole home humidifiers are also extremely versatile and can be used as a standalone unit, plugged in and run with a drain, ducted, wired to a furnace blower system, zoned or used in conjunction with outdoor ventilation. And last but not least, you can control the unit remotely! Give us a call at (219) 942-9023 to set up your complimentary consultation today! This entry was posted in Indoor Air Quality and tagged Dehumidifiers, Northwest Indiana dehumidifiers, whole house dehumidifiers on July 25, 2017 by siteadmin. Consider solar screens for your east and west facing windows or at least close your drapes on bright sunny days. KEEP THE SUN OUT. Consider solar screens for your east and west facing windows or at least close your drapes on bright sunny days. Even better, if you are purchasing new windows, be sure to look at upgrading to windows with low solar heat gain coefficients to keep the sun out. CHANGE YOUR FILTER. Most people let their filters get too dirty and this is one of the most common reasons for poor performance on the part of your air conditioner. A dirty filter simply makes your unit work too hard to pull cool air through it. IMPROVE AIR FLOW. In addition to the air filter, your AC may have other types of air flow problems. If the evaporator coil is dirty, not enough air moves across it and your home doesn’t cool off as well as it should. If the condenser coil is dirty, it won’t dump enough heat to the outside. If your condenser coil is crowded with vegetation or other obstacles, clear it out. You can trim the bushes yourself, but you should probably call a pro to clean the coils. LOOK FOR DISCONNECTED DUCTS. If your ducts are outside of the conditioned space in your home, check to see if anything has come loose. Fixing a supply duct that’s sending all its cool air to the attic or crawl space can have an immediate impact on your comfort. This problem is more common than you may think. USE FANS. On those really hot days, using a fan to move the air over your skin may be the only change you need to stay cool. Remember, for every degree that you turn down your unit, you could be adding 5% to your energy bill. Try the fans first but turn off those in empty rooms. Remember fans don’t cool rooms, they cool YOU! Let Earl’s Trained Technicians perform an energy assessment on your home and recommend efficient cooling solutions! If none of these tips seem to help, or if you believe there is more to the problem, CALL EARL’S FOR A HOME ENERGY ASSESSMENT. Our Trained Technicians can identify problem areas and recommend solutions to cool your home in an efficient way. They also have equipment to measure how leaky your ducts are, for example, as well as the surface temperatures of your floors, walls, and ceilings. Call us at (219) 942-9023 to set up an appointment today! This entry was posted in Air Conditioning and tagged Air Conditioning Efficiency Tips on June 16, 2017 by siteadmin. 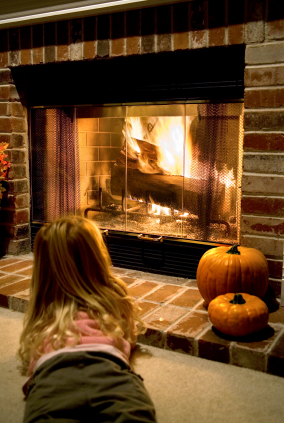 Getting your heating system ready for winter will make the winter cozy and fun! Brrrrr! This winter has been a cold one for us throughout Northwest Indiana. Our sub-zero temperatures can determine whether your furnace is your best friend or your frigid nightmare! A furnace nightmare can be a costly and time-consuming experience. Hopefully your furnace is up and running properly but if you are looking to purchase a new furnace, we understand that it can be a costly and time-consuming undertaking. Here are a few, simple tips to help you turn a nightmare into a dream-come-true. Make a decision that is the right fit for your family, your home and your pocketbook! Look at Your New Furnace as a Long-Term Investment: Most buyers make a buying decision just on the basis of price. We understand that price is an issue for most people but you should also consider equipment with higher energy efficiency ratings. Your investment can help you save money on your NIPSCO bills for years to come, which yields a hiagh return on your investment. Variable Operation: This means the system can adapt itself to changing conditions and provides better comfort and reliability. Safety: Look for systems that offer improved safety, especially when it comes to carbon monoxide detection, which we all know can save lives. Humidity Control: Check if the system offers humidity control. It should have the ability to add moisture to the air during winter when the environment gets very dry and should remove humidity during summer. Carefully Choose Your HVAC Company: A quality, licensed HVAC companywill install the furnace properly and ensure peak performance of your new system. Check the company’s experience with the particular type and model of equipment. For example, make sure your HVAC installer has experience installing and maintaining your brand of furnace equipment. And, whether you have a gas furnace or an electric furnace, your provider should provide the services necessary to keep your system in good condition. This includes routine maintenance services (with an inspection and tune up of your system, or one each year if you join a maintenance plan), repairs, new installations or gas or electric furnace replacements. Most import – hire an HVAC company that has been in business for more than ten years. Their experience is priceless! Consider Energy Ratings: As heating systems are becoming more and more energy efficient, there is no reason why you should invest in a model that isn’t going to save you money in the long run on your energy bills. Check out the ENERGY STAR ratings and choose a model that offers better efficiency at a price that fits your budget. Look for Tax Credits and Warranties: Some energy efficient heating systems may qualify you for federal tax credits, some of them up to 30 percent! Warranties are another major consideration to bear in mind while making a choice – the longer and more inclusive the better. ALERT!! NIPSCO may also offer a rebate on energy efficient systems. Your HVAC contractor can provide up-to-date information on these offers. If you are exploring various options for a furnace and need professional help to make a choice and install the system, give Earl’s Heating and Air Conditioning a call at (219) 942-9023 or contact us on our website at http://www.earlsheating.com/contact/send-message. We are happy to help and offer free quotes in our service area! This entry was posted in Heating on February 8, 2017 by siteadmin. Should You Have an Air Purifier Installed? Your HVAC system comes with an air filter. Do you know its purpose? If you think it is to protect your indoor air quality, you’re only partially right. The primary function of this air filter is actually to protect the inside components of your HVAC system from dirt, debris, and other particles that can impact the performance of your system. This entry was posted in Indoor Air Quality and tagged air purifiers, Indoor Air Quality Products, Schererville on December 19, 2016 by siteadmin. Should You Have a Humidifier Installed This Winter? Although weather conditions in recent weeks tell us a different story, as we edge closer to winter our climate tends to dry out, to the point that we can be pretty uncomfortable both outside and indoors. This entry was posted in Indoor Air Quality and tagged humidifier installation, Valparaiso on December 12, 2016 by siteadmin. With the weather drastically cooling down here in Crown Point, IN it’s no secret that you need a fully functional heating system to get you through the next few months. Hopefully, you’ve had routine maintenance done within the last year to ensure your heating system is ready for its job. Either way, however, no heater is immune to problems. This entry was posted in Heating and tagged Crown Point, Heating Repairs on December 5, 2016 by siteadmin. Furnace Inspection Steps: Is Your Heater Ready for Winter? Hopefully, you’ve already had maintenance done for your heater this year. It’s recommended that you have this service done at least once a year—twice a year if you have heat pump. If you are one of the many homeowners that has a furnace, though, then once a year is sufficient, but it’s imperative that you not skip this appointment. This entry was posted in Heating, Our Maintenance Plan and tagged heating maintenance, Hobart on November 28, 2016 by siteadmin. Is Your Furnace Failing to Light? This entry was posted in Heating and tagged Heating Repairs, Merrillville on November 21, 2016 by siteadmin. This entry was posted in Heat Pumps and tagged heat pump maintenance, Schererville on November 14, 2016 by siteadmin.